1. Traverse: 6”, 8”, 10”, 12”. 2. Uses durable cast steel cam. 3. Spindle speed: 1,000 rpm. 4. Simple structure; easy to operate and maintain. 5. 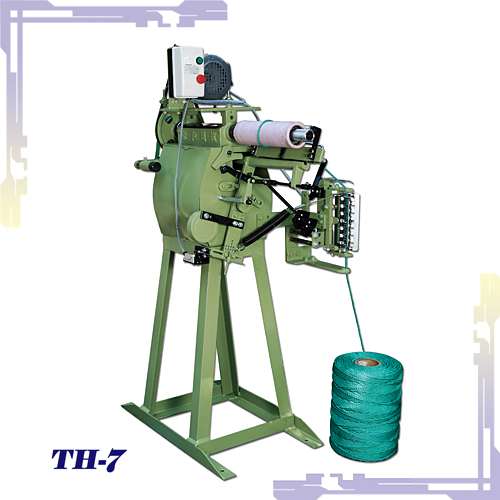 Suitable for rope-making, winding PP and PE yarn. 6. Horsepower: 1/4 HP (1/2 HP if equipped with a frequency converter). 7. Yarn breakage activates auto-stopper. 9. Optional accessory: Electronic yarn-length gauge, frequency converter.